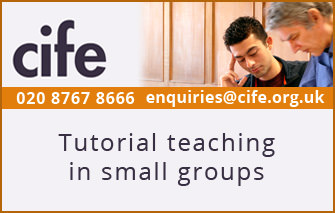 This page links to over 50 sixth-form advice articles written by CIFE staff to help pre-university students. We've arranged the articles under the 3 main headings below. Just click on the + at the start of the orange boxes to show information and links to the individual articles. We hope you find these sixth-form advice articles interesting and helpful. 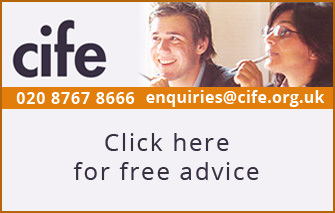 Do contact us if you need advice which isn't covered here or to suggest an article you would like us to add. Make your revision effective by making it active. Here’s how to do it. A step by step guide to making effective use of your time in the sixth form. Tips to make sure you tackle the new A levels sucessfully. How to make sure that stress doesn’t damage your revision or your exam performance. 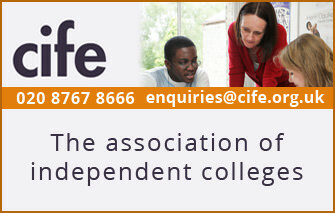 Explains what independent sixth-form colleges offer and what’s special about them. 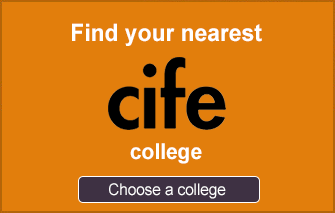 Gives a detailed list of questions which will help you choose the CIFE college which is best for you. Describes the major changes to exams which began in September 2015. Describes the likely impact of new GCSE exams on the class of 2017 and beyond. Crammer, tutorial or sixth-form college? A levels or International Foundation course? Describes why you might need a recognised ESL qualification if your first language isn’t English, and describes the main ESL qualifications recognised by schools, universities, employers and the visa authorities. 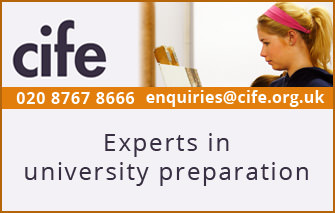 Explains the ways CIFE colleges help students prepare for study in England and how they support international students after they arrive. This article advises on exactly what happens on A level results day, how to find out if things have gone according to plan, and what to do if you have a problem. Even if you’re certain you’ll be going to university, pause a moment and check through these questions to make sure what you’re doing is right. Tells you how to make sure that your UCAS form does the best possible job in persuading university Admissions Tutors to make you an offer. Tells you what admissions tutors are looking for and how to prepare yourself to cope effectively with the interview. How much will university cost me? Explains what university Open Days are for, how many to attend, how to prepare to get the best out of an Open Day, questions international students should ask etc. Tells you about the main sources of financial help at university, and where to find out more. A gap year after A level? 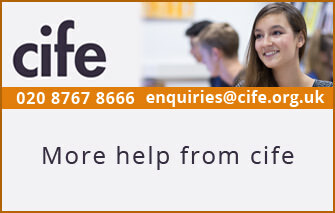 cife Intercollegiate Articles are a series of technical articles written by individual cife colleges discussing issues pertinent to the sixth form college sector. View the full index of intercollegiate articles. You’ll find more information on pages such as FAQ, but do contact us if you have specific questions.